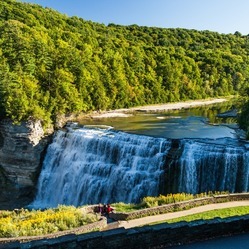 Governor Andrew M. Cuomo recently announced New York’s system of state parks, historic sites, campgrounds, and trails welcomed more than 74 million visitors in 2018. This milestone marks seven years of steady visitor growth and represents an overall increase of 28 percent, or 16.2 million visitors since the Governor took office in 2011. (Smithtown, NY)…Suffolk County Legislator Rob Trotta (R-Fort Salonga, NY) came out to salute St. James Boy Scout Troop 301’s newest Eagle Scout, Kevin Stickevers. The rank of Eagle Scout is scouting’s most prestigious and highest accomplishment. In addition to earning the required merit badges and meeting the other requirements, Kevin has demonstrated that he has mastered the skills of leadership and mentoring. For his Eagle Scout Community Service Project, Kevin fundraised, designed and built a movable duckling shelter with two heat lamps and two sinks with plumbing for the ducklings residing at the Sweetbriar Nature Center in Smithtown. “Attaining the rank of Eagle Scout is a great achievement and one that will be with you for the rest of your life. As your brother Erik was an inspiration to you, I hope that you are an inspiration to the younger scouts in this troop and for all the teenagers throughout Suffolk County,” said Suffolk County Legislator Rob Trotta. Pictured at the ceremony are from left to right: Suffolk County Legislators Leslie Kennedy, Rob Trotta, Eagle Scout Kevin Stickevers, his parents Mrs. and Mr. Stickevers, brother Erik, an Eagle Scout, and County Comptroller John Kennedy.